Please do the Summary Survey here. Go to History Google site and download everything in the Contact and Interaction Section (total of 6 files) files 1-4 are reading material and files 5 and 6 are worksheets to be completed. Go to Geography Google site and download lesson 08 on Planet Tectonics. Do activity 1, 2 and 3. 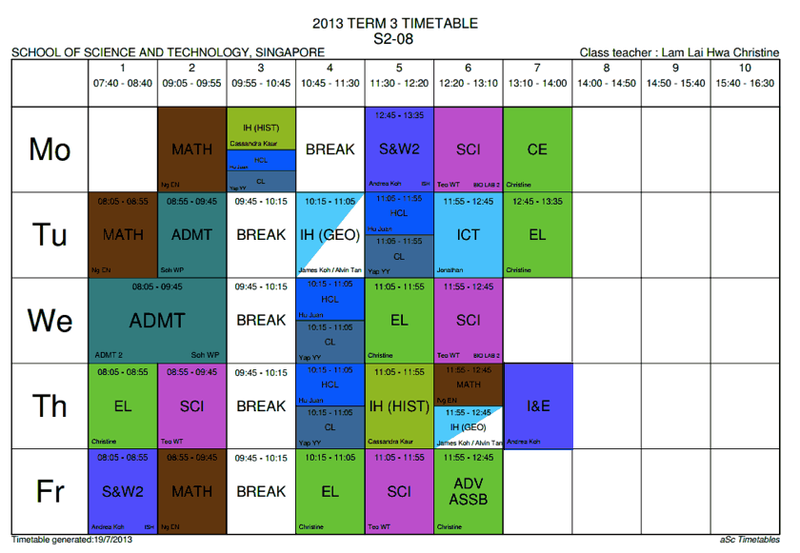 Thursday's S&W period will be swapped with Monday's I&E period with effect from Term 3 Week 5.